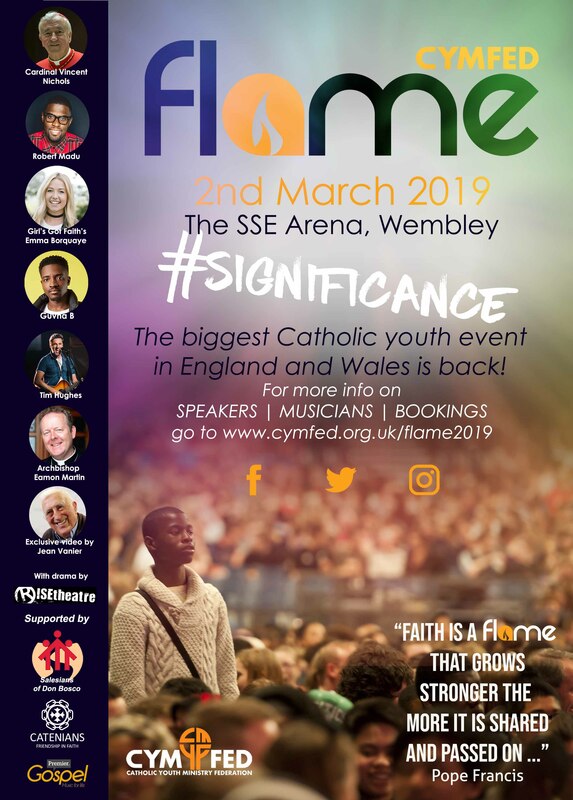 The biggest Catholic Youth Event in England and Wales is back! The CYMFed Flame Congress takes place on 2nd March 2019, at Wembley Arena. This year Jean Vanier, founder of L’Arche, will be giving exclusive video input. Archbishop Eamon Martin, Primate of All Ireland, will be sharing his experience of the October Synod on Youth, the Faith and Vocational Discernment. Offering a very different style of input will be the rapper Guvna B, and his wife Emma, who will speak into the issue of stress, mental health and wellbeing for our young people A well-known and very vibrant Arena speaker, Robert Madu, is flying in from Texas, to talk on this theme; we are sure he will offer both challenge and humour.